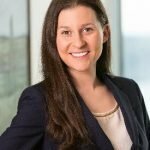 SEATTLE (June 19, 2018) – Seattle based law firm Ryan, Swanson & Cleveland announces Danielle Flatt has joined the firm as an associate in the firm’s Real Estate, Development & Finance group. Danielle brings a broad range of legal experience to Ryan Swanson that includes real estate, bankruptcy, and business law. She represents clients with real estate matters involving the review, negotiation and drafting of commercial and residential leases. Danielle has written and negotiated real estate investment contracts such as joint venture agreements, real estate purchase contracts, buy-sell agreements, and tenancy termination agreements. She also advises clients with due diligence review during real property and business transactions. Danielle graduated from the University of Southern California in 2009 and received her Juris Doctor from Seattle University School of Law in 2013. 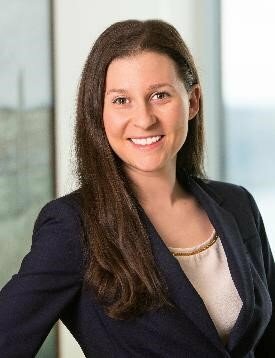 During law school, Danielle interned at the Washington State Board of Tax Appeals, the Land Use Division of the Snohomish County Prosecutor’s Office, and the Office of the United States Trustee. Danielle is a member of the Washington State Bar Association and the King County Bar Association. Danielle volunteers in the King County Bar Association’s Neighborhood Legal Clinics. She is also admitted to the United States District Court for the Western District of Washington.